Hello to you my friend! Who doesn't love birds? 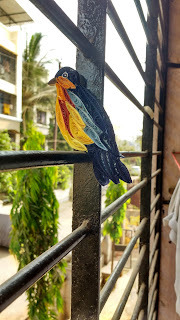 I planned to make a fridge magnet for my co sister as we were visiting them. I looked for image of birds and made a rough sketch. 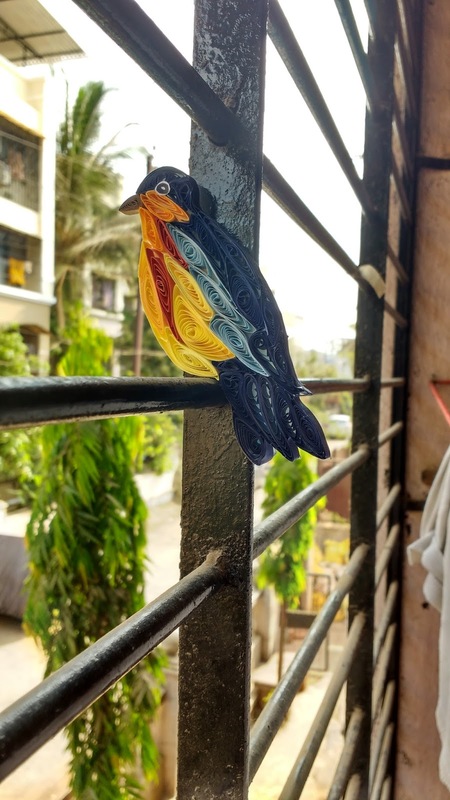 I didn't know the name of the bird.. and neither did I follow the colours.. I had very limited coloured strips so used whatever I had handy. 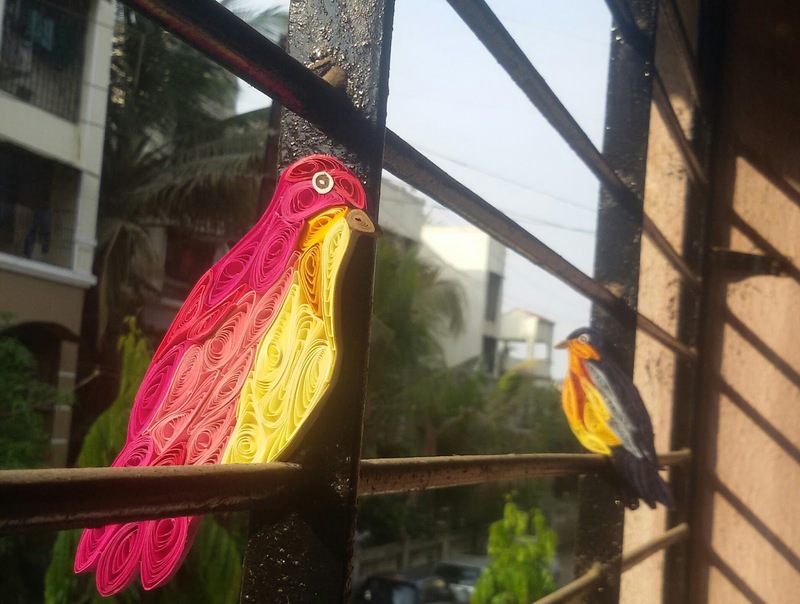 I used 5 mm strips for this bird.. Which later my brother said.. looked like a Robin.. so here is the Robin! But after this one bird .. 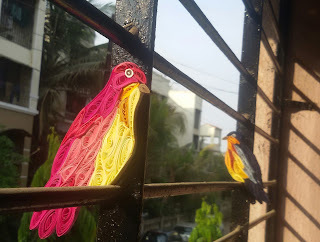 I realised they should be in a pair, for which I quilled a bird in some feminine colours. Now my lonely Robin has a company.